Home Trendy News The resolution is a rebuke to Trump’s support of Saudi Arabia. The resolution is a rebuke to Trump’s support of Saudi Arabia. The Senate passed the bill on March 13, in a major rebuke for President Donald Trump’s administration. With the House also now passing the bill, it will be sent to President Trump’s desk where it is expected he will veto the bill. It would be only the second veto of his presidency. “The president will have to face the reality that Congress is no longer going to ignore its constitutional obligations when it comes to foreign policy,” Chairman of the House Foreign Affairs Committee Eliot Engel, D-N.Y., said Thursday. 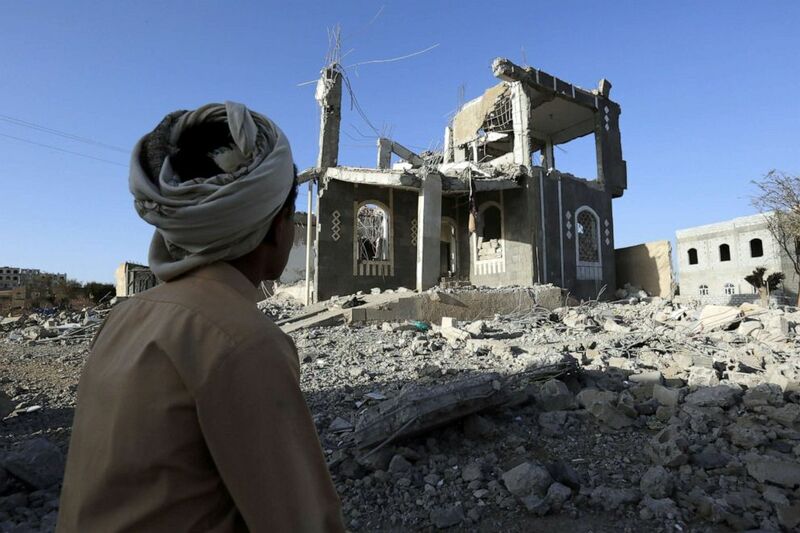 (Yahya Arhab/EPA via Shutterstock, FILE) A Yemeni man sits in front of a building allegedly destroyed by recent airstrikes in Sana’a, Yemen, March 25, 2018. Congress is not expected to override Trump’s veto, lacking the necessary two-thirds majority in the House and Senate. “We’re literally telling the Saudis what to bomb, what to hit, and what and who to take out,” said Sen. Mike Lee, R-Utah, one of the authors of the resolution, which gained support from outrage over the killing of Khashoggi and Trump’s continued defense of Saudi Arabia’s young crown prince, Muhammad bin Salman. ABC News’s Conor Finnegan and Mariam Khan contributed to this report. Previous articleWho’s Winning the MVP Debate in NBA Locker Rooms: Giannis, Harden or PG-13?